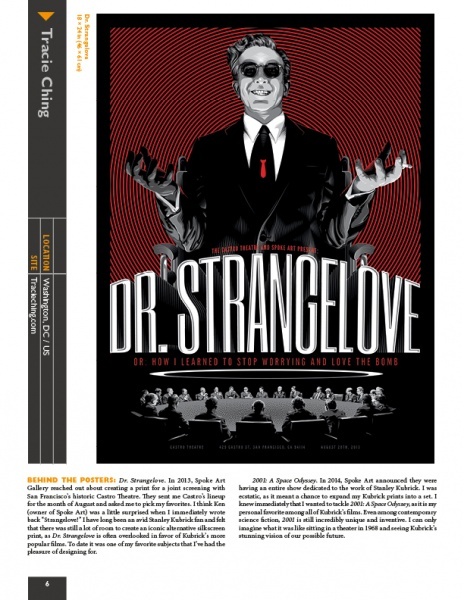 READS: Alternative Movie Posters II Is a Must for Film (and Art) Fanatics | "DESTROY ALL FANBOYS!" 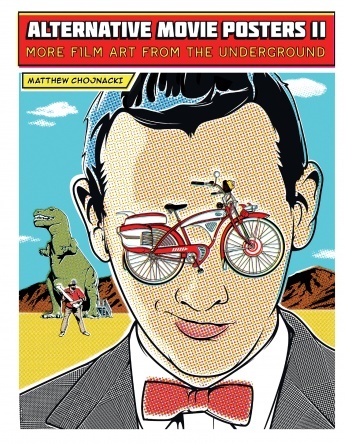 If you do (and even if your name isn’t Joey), Alternative Movie Posters II: More Film Art from the Underground ($34.99) is going to make you smile until our face cracks. Well, okay – there’s only one actual gladiator movie in the book (which just so happens to be a poster variant from Ridley Scott’s 2000 film), but that quote jumped out and bit me as soon as I saw the poster and I had to use it as an opener. Anyway, author Matthew Chojnacki has put together a fantastic collection of 200 more film poster variants done by a wide assortment of artists in many different styles that will make any film fan want this on their gift list. Movies classic to somewhat current get the treatment here and it’s great to see how well the artists captured the essence of the films they’ve chosen to represent in poster form. I’m of the mind that the art of the movie poster has been ill-represented by most movie studios who’ve replaced paintings or other creative imagery with lazily Photoshopped committee-fueled “safe” posters that lack imagination and skip any attempts at conveying much of what a film is about other than what mega-star(s) are in it. The art in this book crushes pretty much anything Hollywood has come up with in ages and some of these one-sheets have even been used as official art for home video releases or sanctioned screenings of certain popular films. The book also makes for interesting debate material as all art is subjective and we all have friends who prefer certain styles (or no style at all) in their movie posters. I can see the popcorn flying furiously over some of the artistic choices in this volume, but as long as everyone who enters the fray comes out okay (no “two men enter, one man leaves!” stuff, please! ), it’s all good. You can grab the book from that link above or shop around online for a lower price. 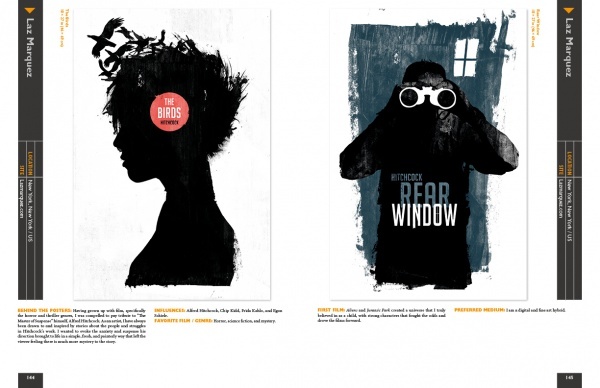 No matter what you do, make sure to grab the first volume of Alternative Movie Posters if you don’t yet have it, as it’s equally spectacular and well worth adding to any collection. Make sure to grab a Schiffer Books catalog while you’re on he site, as it’s chock FULL of great special interest titles for pretty much everyone you can think of. 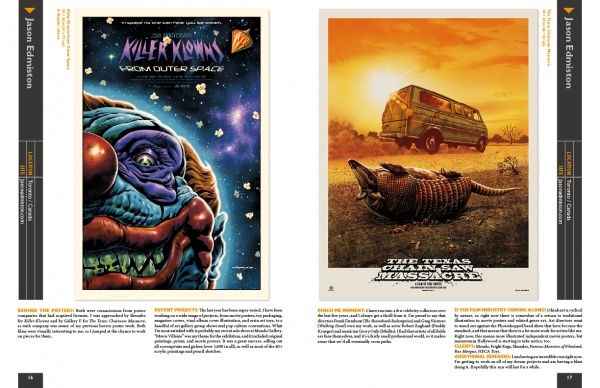 Now, if only more of the films represented were as amazing as the poster art in these books, but those are (of course) fighting words as well as a big fat topic for another time. This entry was posted in 2015, Commentary, DAF, Features, Holiday Gift Guide 2015, Humor, Movie Posters, Random Art, Updates and tagged AIRPLANE, Art Appreciation 101, Books, Buy This Book!, Illustration, Movie Clips, Movies, Nostalgia, Random Films, Reads, Schiffer Publications, YouTube by geelw. Bookmark the permalink.